Dim Sum Turnip Cakes With Bacon and Mushrooms. 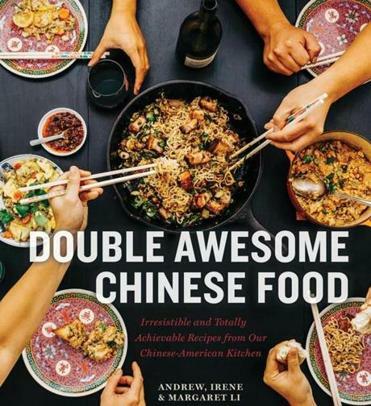 “Double Awesome Chinese Food: Irresistible and Totally Achievable Recipes from Our Chinese-American Kitchen,” by Margaret Li, Irene Li, and Andrew Li. 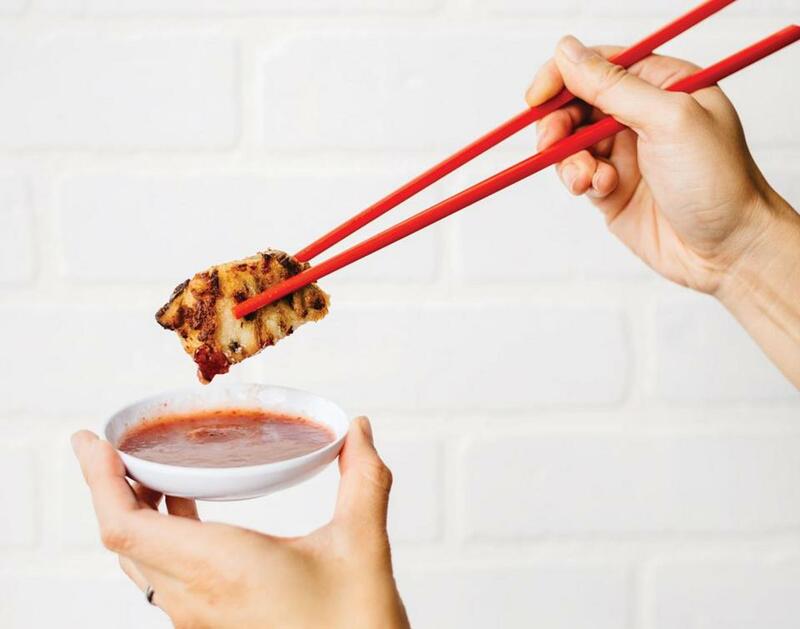 In our new cookbook, Double Awesome Chinese Food, we bring together our childhood memories, interwoven with diverse ideas and interpretations of Chinese food in America. All of them have influenced the way we cook at Mei Mei and the way we eat at home. In creating these recipes, we started with our love and nostalgia for classic Chinese dishes, added some of our favorite tips and techniques, and tossed in some seasonal New England ingredients. We hope the resulting dishes become classics for your family, too. Our dad always ordered turnip cakes (lo bak gao), sometimes known as radish cakes, when we went out to dim sum. We like to use daikon radishes because their high water content makes them easy to grate, but you can substitute the turnip of your choice. Replacing the bacon with onion makes this dish vegetarian. In a medium saucepan, cook the grated daikon and 1 cup water over medium heat, covered, for about 15 minutes, stirring occasionally, until softened and mostly translucent. Remove from heat and set aside to cool. Meanwhile, cook the bacon in a large skillet over medium heat (or cook the onion in the oil and season with salt). Once the bacon starts to brown (or the onion starts to soften), add the mushrooms and cook until softened, about 3 minutes. Remove from heat and stir in the scallion. Whisk the rice flour, cornstarch, 1 teaspoon salt, sugar, and white pepper in a large bowl. Once the radish has cooled slightly, add it to the dry ingredients and mix thoroughly. Add the bacon or onion mixture to the bowl and stir to combine, incorporating the bacon fat or oil from the pan. Lightly oil a loaf pan, add the radish mixture, then flatten the top with a spatula so it cooks evenly. Set up a steamer or a stockpot with a steamer rack, add a few inches of water, and place the loaf pan inside. Turn the heat to high, cover, and steam for 45 to 60 minutes, depending on the thickness of the cake. Check every so often to make sure there’s enough water in the pan. When the cake is firm to the touch, turn off the heat, let cool slightly, then carefully remove pan from pot using tongs or oven mitts. Let cool for at least 20 minutes so cake sets, then cut into slices 1 inch thick. Although the cake is tasty when steamed, we find the crunchy, pan-seared edges to be the best part. To pan-fry, heat a thin layer of neutral oil in a skillet and sear on all sides until browned and crisp. Season the steamed or pan-fried slices with salt and serve with prepared hoisin sauce or another sweet and savory sauce of your choice. 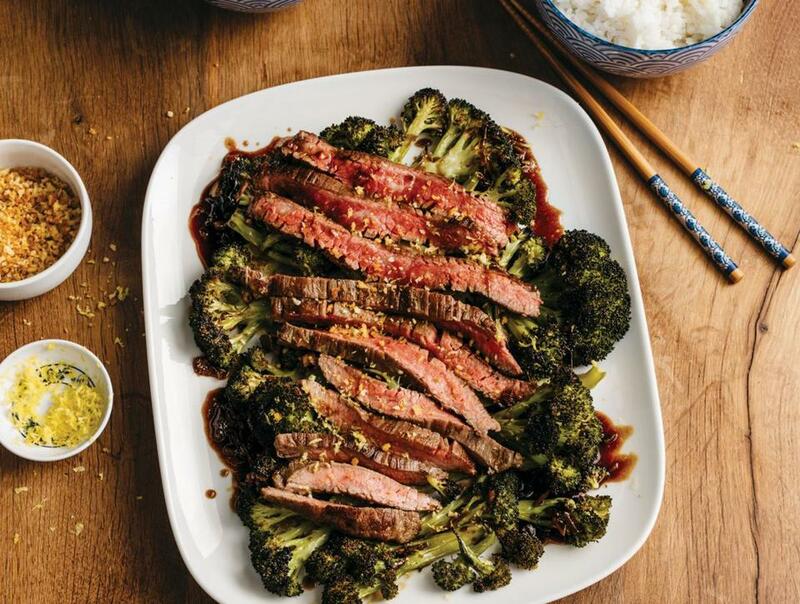 In our take on this classic Chinese restaurant dish, both the beef and the broccoli get a lovely char and crunch. If you’ve only had limp, gloopy takeout versions of this dish, you’ll be surprised by the texture and flavor in the broccoli florets and stalks. Make sure you peel the stalks — the sweet, nutty flavor is fantastic once you get past the tough outer layer. Marinate the beef: Combine the beef, soy sauce, wine, and 1 tablespoon oil in a sealable plastic bag. Marinate for at least 20 minutes while you prepare the broccoli and the sauce, or up to a day in advance. Cook the broccoli: Preheat the oven to 425 degrees. Place the broccoli on a baking sheet and drizzle with the oil. Sprinkle with the salt, then use your hands to toss and fully coat the broccoli. Roast for 15 minutes, then carefully flip the pieces over with tongs. Roast for another 5 minutes, then check to see if the pieces have a good char. If not, continue to roast, checking every 5 minutes, until well browned. Make the sauce: Heat the oil in a medium saucepan over medium-high heat until it shimmers. Add the garlic and ginger and cook until fragrant and softened, about 2 minutes. Add the oyster sauce, honey, soy sauce, fish sauce, and 1 tablespoon water and bring to a boil. Reduce the heat to medium-low and cook at a low boil for 3 to 5 minutes, stirring occasionally to prevent burning, until thick and sticky. Stir in the vinegar and taste for seasoning; if the sauce is too salty, thin with a little water or meat stock. Cook the beef: Lay the marinated beef on a cutting board and, if necessary, cut in half crosswise so both pieces fit into your pan. Pat dry with paper towels, then season lightly on both sides with salt. Heat the remaining tablespoon of oil in a large cast-iron or other heavy-bottomed skillet over high heat until lightly smoking. Using tongs, carefully lay the beef pieces flat in the pan and sear until browned on the bottom, about 3 minutes. Flip and brown the other side, about 3 more minutes, turning the heat down if it gets too smoky. This may be enough to cook to our preferred medium rare (125 degrees); if you prefer it more well done or the steak is thick, cook for another 3 to 5 minutes. Transfer to a cutting board and let rest for at least 5 minutes before slicing into thin pieces against the grain (across the fibers of the meat). To serve, put the broccoli and beef on a plate and drizzle with sauce. Sprinkle with panko and lemon zest, if using. Serve immediately with white rice or a side dish of your choice. A simple plate of stir-fried vegetables was often on our table growing up, accompanying everything from roast pork to lasagna. Leftovers are fantastic as a topping for rice porridge, mixed into an omelet, or tucked into a sandwich. Heat the oil in a wok or large skillet over medium-high heat until shimmering. Add the garlic and stir until fragrant and lightly browned, about 1 minute. Add the greens, sprinkle lightly with salt, and toss until wilted and well charred in spots. Transfer to a serving bowl and drizzle with most of the Soy Ginger Dressing. Toss, taste for seasoning, and add more dressing if desired. Sprinkle with panko, if desired. Place all the ingredients in a bowl, blender, or food processor and whisk or blend to combine. Store in an airtight container in the fridge for up to 3 weeks. Heat the oil in a medium skillet over medium-low heat until shimmering, then add the garlic and stir until lightly browned, about 1 minute. Add the panko and cook, stirring constantly, until the mixture darkens to a deep golden brown, about 3 minutes. Discard the garlic clove, transfer mixture to a plate, sprinkle with the salt, and set aside to cool. Store in an airtight container at room temperature for up to 2 weeks. From “Double Awesome Chinese Food: Irresistible and Totally Achievable Recipes from Our Chinese-American Kitchen,” by Margaret Li, Irene Li, and Andrew Li © 2019 by Margaret Li, Irene Li, and Andrew Li. Reprinted by arrangement with Roost Books, an imprint of Shambhala Publications Inc. Send comments to cooking@globe.com.